EV Conversion Books - How Practical Are They? EV Conversion Books – How Practical Are They? Home/EV Conversion/EV Conversion Books – How Practical Are They? Back in mind 2008, the global crude oil price went to its historical peak of $150 per barrel. During that time, many people, me include are stressed every time the gas gauge moving close to the “E”. How I wish that letter E stands for Enough. Unfortunately I have to stop by the pump station and give my hard earn money to the oil companies. It is understandable many car owners are frustrated. But what could we do? Many car enthusiasts decided to take proactive action and start searching for alternative energy source for their vehicle. One such solution is using [tag-tec]electricity[/tag-tec] to power their cars. For the time being, a new electric vehicle (EV) from electric car manufacturers is still relatively expensive. Many took action and converted their gasoline driven car to electric at home. 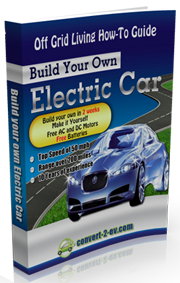 The sudden spark on interest on Do It Yourself (DIY) electric car has created a lot of DIY electric car conversion guides in the book stores and on the web. But how practical are all these EV conversion books? Just like any car repair or modification work, it will be very tough if you have no skill nor the experience. EV conversion is like “heart surgery” on the car. The idea is to take out the [tag-tec]internal combustion engine[/tag-tec] and replace it with an electric motor. Since the engine in gone, all its associated components such as gas tank, exhaust pipe, fuel lines and radiator are removed as well. Since all car models are different inside and outside, some of the parts needed for EV retrofitting has to be custom made. Most of the work involved are electrical wiring and machine tooling. I guess it is fair to say EV conversion books are useful if you already have the knowledge on automobile engineering. If you are not well versed with hand tools, the best EV conversion guides in the market would not be much help. In this case, it is better for you to outsource the retrofitting project to a profession mechanic.